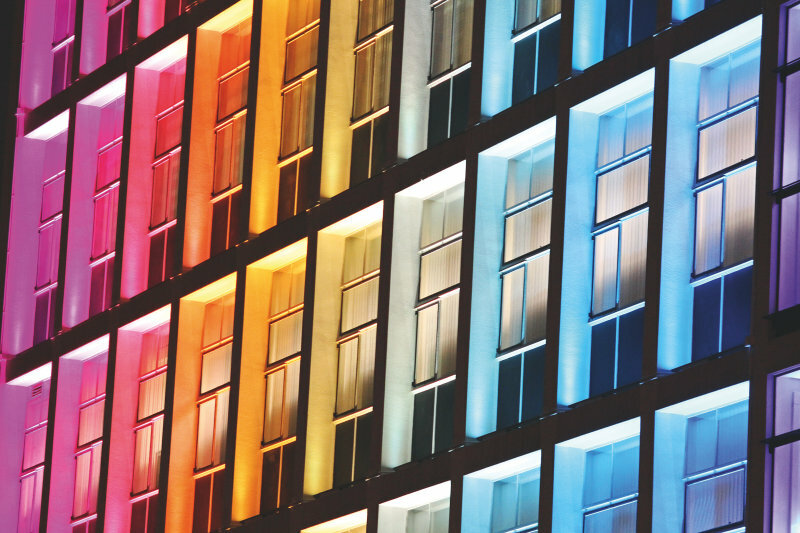 From smart bulbs in private households to efficient greenhouse lighting to attractively staged architecture, depending on the application soft or signal colours might be needed. The light might need to simply shine, or illuminate something else. So OSRAM Opto Semiconductors has added a new method to its colour LED manufacturing capabilities. Normally, the semiconductor crystals in LEDs generate the colours directly. This gives a narrow spectrum peak (for example, 600 to 630 nanometres for red), which the human eye perceives as a very piercing light. By contrast, the new production method uses only blue semiconductors as a basis. A luminescent material with the desired colour is added in packaging, i.e. assembly. As a result the LED covers a wider spectrum (550 to 700 nanometres for red) and the colour appears softer. With this innovation, OSRAM Opto Semiconductors is able to make LEDs with exactly the kind of light its customers need. It also meets all other industry-specific requirements, as a look at the following key applications will demonstrate. Application example (1) – Smart bulbs. For end users, LEDs have opened up entirely new lighting design possibilities in private homes. Commercially available smart bulbs installed at home can be selected and turned on and off with apps, programmed for certain times, and controlled by speech. Along with other smart home functions like controlling the heating or garden sprinklers, now the lighting can also be adjusted to residents’ needs just as simply and conveniently. OSRAM Opto Semiconductors addresses this trend in collaboration with its corporate parent OSRAM by means of the Lightify series. Lamps, lights and LED strips can be controlled singly or in groups by WLAN, from inside or outside, for example while out in the garden. In addition to purely functional benefits, the system’s intelligent control ability offers great scope for creative lighting solutions. Up to 50 individual light elements can be integrated and over 16 million colour shades are available, with memory functions for favourite colours and user-created lighting scenarios. Application example (2) – Greenhouse lighting. 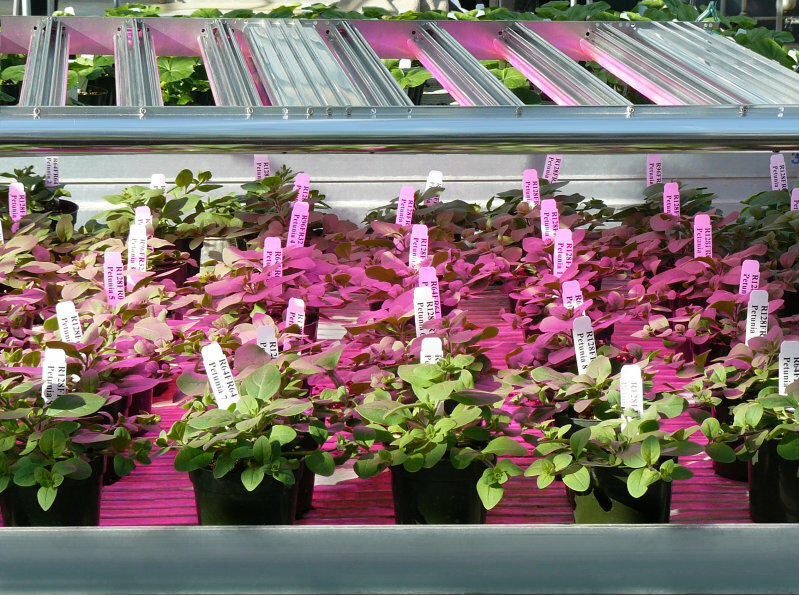 Good greenhouse lighting takes high efficiency blue and red colours to promote photosynthesis. Blue and red can also be mixed in the right ratios to give special colours for specific plant species. OSRAM Opto Semiconductors has a very simple solution for this. Purpose-designed OSLON-LEDs can be flexibly combined in the right quantity and with wavelengths specially developed for this application, to generate the right colour for the specific plants in question. Greenhouse growers also need to be able to choose between narrow-focus and wide-angle light. OSLON-LEDs have 80°/120°/150° radiation profiles, rendering additional lenses superfluous. All OSLON models are highly compact (3.0 x 3.0 mm2), making any design possible. Naturally these LEDs are outdoor-stable and can stand high temperatures, up to 135°C. Skilled light staging of buildings is more and more important. It’s not just the architecture that counts, it’s also the way specific surfaces or portions of a building contrast with each other, are emphasized or not emphasized. LEDs for outdoor surface illumination need to be outdoor-stable and able to abut each other without seams or shadows. In addition, architects need to be able to choose between mid-power and high-power ranges, so that they can vary the number of points and the intensity of the light. OSRAM Opto Semiconductors has the extensive portfolio needed to cover this, with a wide range of colours, and with efficiency, compactness and robustness built in. Human Centric Lighting – a look at the future. To meet rising expectations in general lighting, OSRAM Opto Semiconductors deploys its long market experience gained in demanding categories like automotive and white goods. The company is the only manufacturer in the world to offer the complete value chain, including semiconductor technology and packaging for all colours. 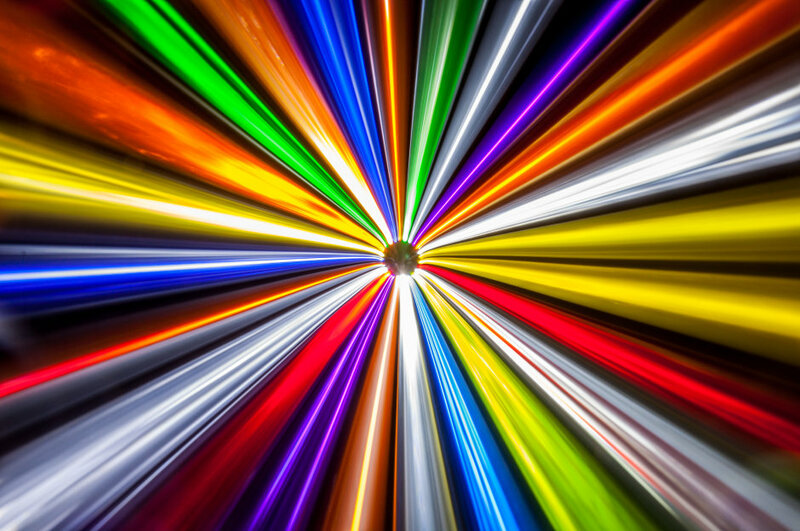 One of the future trends that this LED specialist is addressing is Human Centric Lighting. This is a concept whereby light simulates the course of the sun, to improve working conditions in places cut off from natural daylight such as hospitals, factories with shift work, shopping malls and schools. OSRAM Opto Semiconductors can draw from an extremely wide colour palette, and with its new production method can also vary between hard and soft light. In this way the company can bring sunlight to places where it was formerly unimaginable.